Many of Volvo Penta's long lasting 4 cylinder engines can suffer from poor starting and idling, flat spots, reduced top speed and often high fuel consumption due to their worn out Solex & Stromberg carburettors. As these manufacturers no longer manufacture spares or replacement units, D.B. 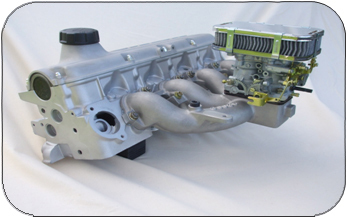 Marine has developed a range of replacement carburettor kits to help overcome these issues.